A motorcyclist who may be paralyzed after being run over during a clash between bikers and a Range Rover on a New York City highway has hired high-profile lawyer Gloria Allred. Edwin “Jay” Mieses, 33, is in critical condition with a crushed spine, two broken legs and other injuries from Sunday’s confrontation, captured on a viral video that has drawn more than 4 million hits on YouTube. "There's no hope for his back," his wife, Dayana Meises, told reporters on Tuesday. "They broke it in two different places, so he will be forever, forever paralyzed." Christopher Cruz of Passaic, N.J., was charged with reckless driving and unlawful imprisonment for a violent encounter with an SUV driver on a New York City highway. The family issued a statement on Wednesday night asking for privacy and announcing it had hired Allred, a media-savvy Los Angeles lawyer who usually specializes in women rights and sexual harassment cases. She has represented people in suits against high-profile defendants ranging from Michael Jackson and Arnold Schwarzenegger to former congressman Anthony Weiner and former San Diego mayor Bob Filner. They also retained a New York lawyer, Mariann Meier Wang. Both lawyers had no comment on whether the family is planning legal action. 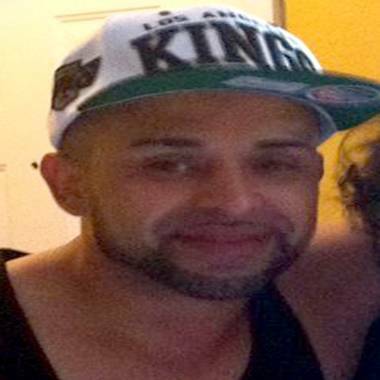 Police say Mieses — a father of two from Lawrence, Mass. -- was struck by Alexian Lien’s SUV when he sped away from a pack of bikers who were attacking his vehicle after a fender-bender. The swarm of riders chased Lien for 50 blocks before cornering him, smashing in his windows, yanking him out and beating him in front of his wife and 2-year-old child, police said. Police later arrested two of the bikers, but prosecutors declined to pursue charges against one of them. Allen Edwards, 42, of Queens, was seen hitting the Range Rover with his hands but there is no indication he participated in the beating and he actually may have tried to help the SUV driver, sources told NBC New York. The wife of one of the bikers who was injured when a motorist in an SUV fled a biker attack wants charges against the driver. But police say he did what he had to do to get away and protect his family, and that charges against him aren't likely. NBC's Kristen Dahlgren reports. "We are taking Sunday's crimes extremely seriously, and will proceed with charges in a manner that enables us to build the strongest cases possible," Karen Friedman-Agnifilo of the Manhattan district attorney's office said in a statement. "Prematurely charging individuals with low-level crimes does not further the goals of the investigation, and could weaken the cases we expect to bring against the perpetrators of serious crimes." Meanwhile, the biker who is accused of causing the fender-bender that set off the chase appeared in a Manhattan courtroom to face charges of reckless driving and unlawful imprisonment. The video, made by a helmet camera, shows Cruz cutting in front of the Range Rover, slowing down and gesturing at the driver before Lien apparently clipped his back tire. Bikers then converged on the SUV and, police say, pounded on it and slashed a tire. That’s when Lien sped off in a panic, running over Mieses. Cruz’s lawyer, H. Benjamin Perez, said outside court that his client wasn’t trying to trap Lien and didn’t take part in the chase or attack. Jay Mieses' family says he may be paralyzed from the waist down after being injured Sunday during a clash between bikers and a Range Rover in Manhattan. Police have not charged Lien but said the investigation is continuing. Asked whether Lien was within his legal rights to race away from the scene of his accident with Cruz, Police Commissioner Raymond Kelly said he might have been. "It depends on whether or not your vehicle is being attacked, whether or not you think you’re being attacked, whether or not your wife and child are in the car. You have to look at the totality of the circumstances and that’s what we’re doing,” he said Tuesday. "Obviously, if you can get out of there without hurting someone, that’s what we advise you to do," he added. "There’s no one-size-fits-all to a situation like this." It’s unclear if Lien, who has not spoken publicly, has a lawyer. A spokesperson for the Internet company where he works said earlier this week there was no comment. H. Benjamin Perez, the attorney for biker Christopher Cruz who was arraigned in connection to a New York City SUV chase that ended in violence, says his client "had absolutely nothing to do with the beating that occurred … he was not there, he never left the West Side Highway."